This is a refreshing snack on a summer day! 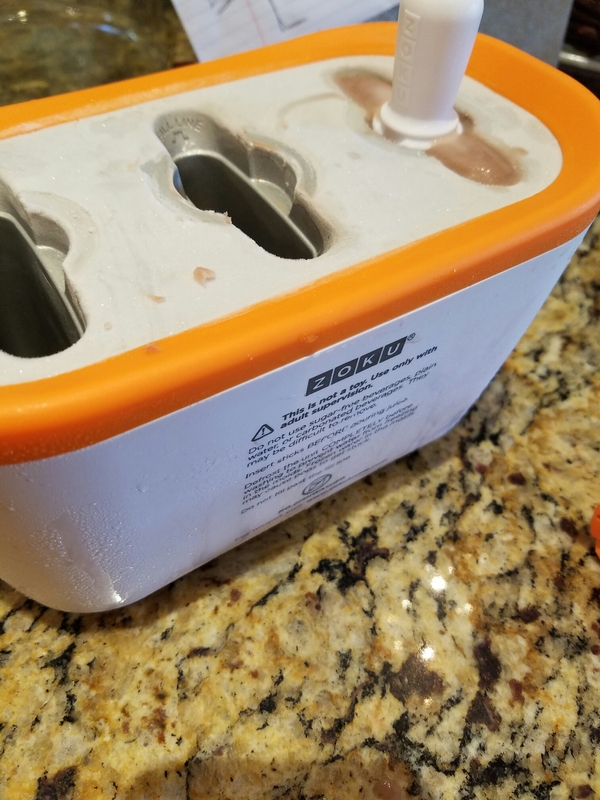 This is fun for the kids to pour in and almost do it themselves. 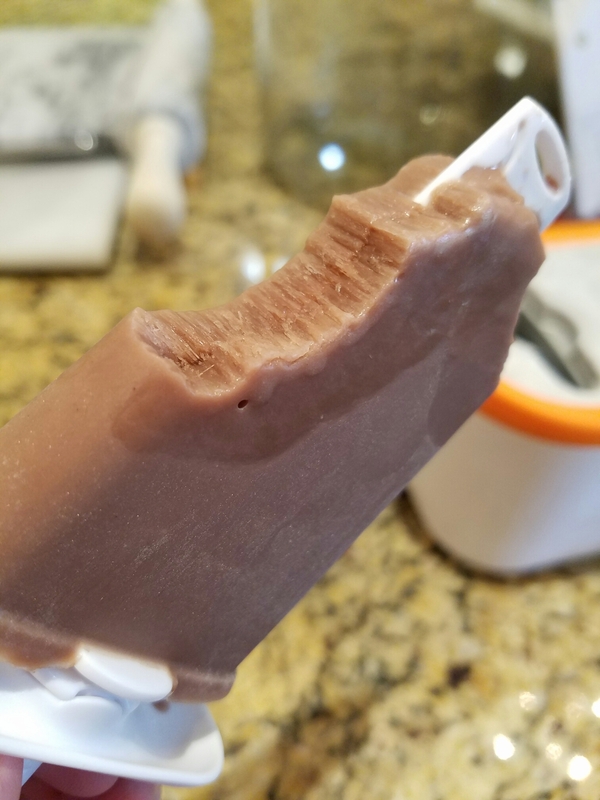 They can choose what kind of popsicle they want and because the thing sits in the freezer, you poor the liquid in it and it turns into popsicle. So if you are wanting instant, this isn’t it, but the great thing is you get to choose what is in the popsicle. 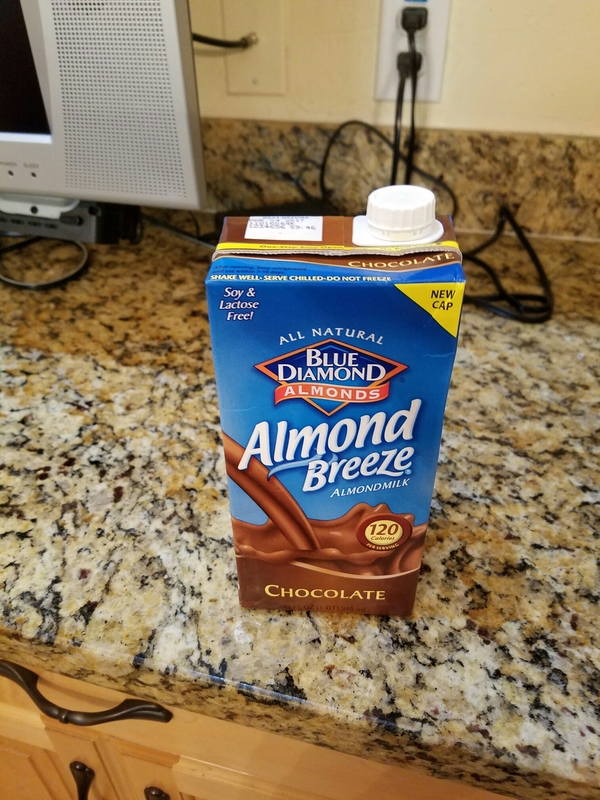 Milk products don’t work as well, but almond breeze worked well I thought. I had one and it was light and not to heavy. Refreshing on this hot day here! I guess it’s called Zoku.